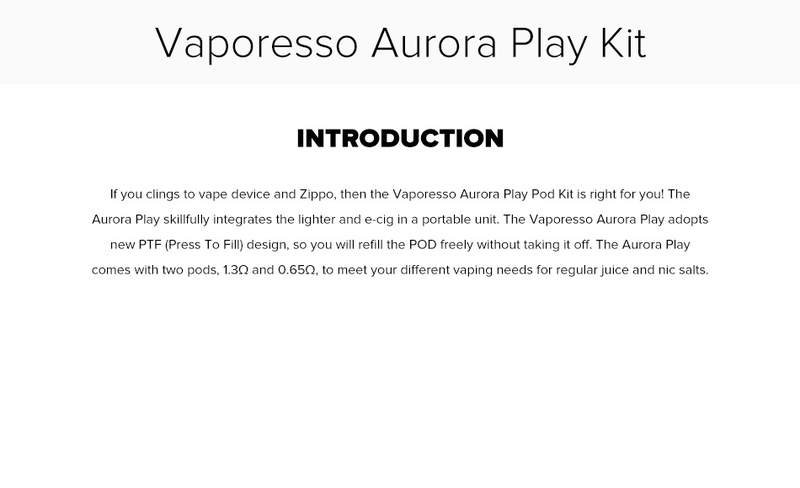 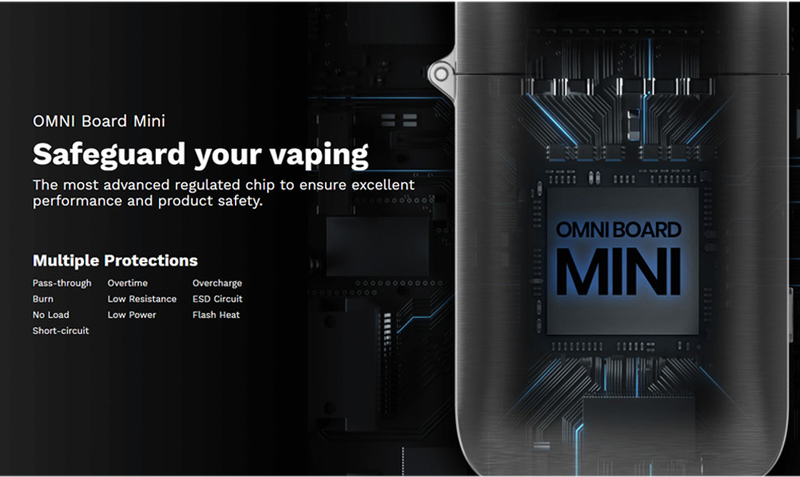 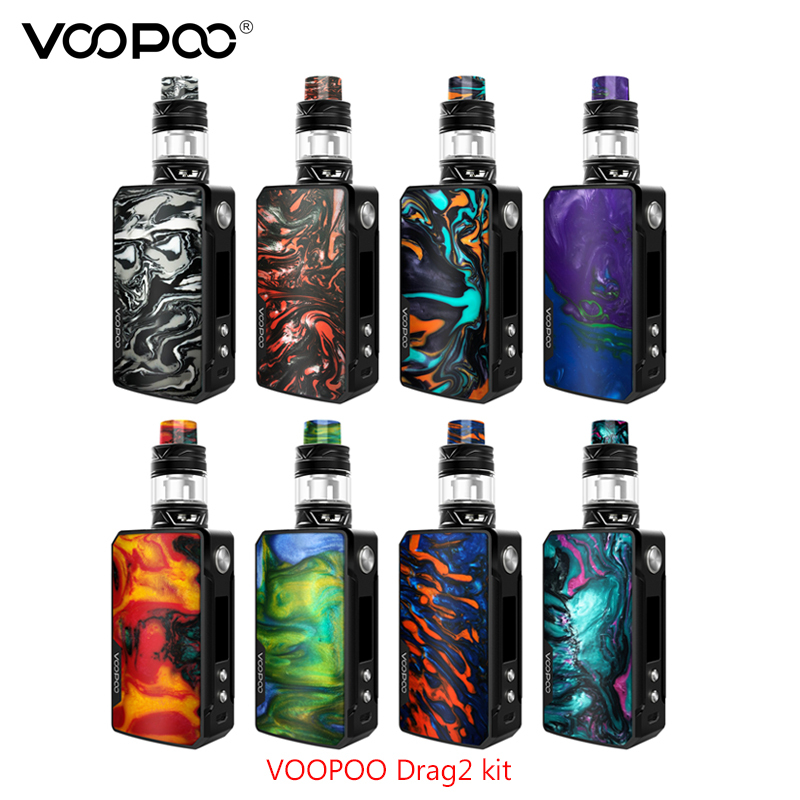 If you clings to vape device and Zippo, then the Vaporesso Aurora Play Pod Kit is right for you! 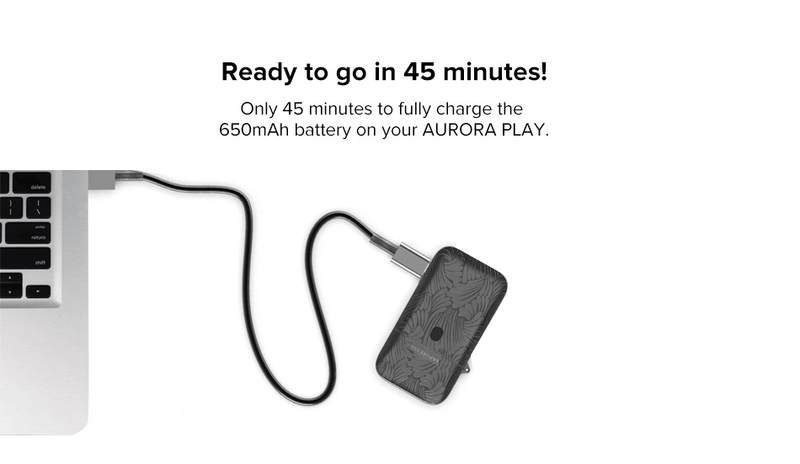 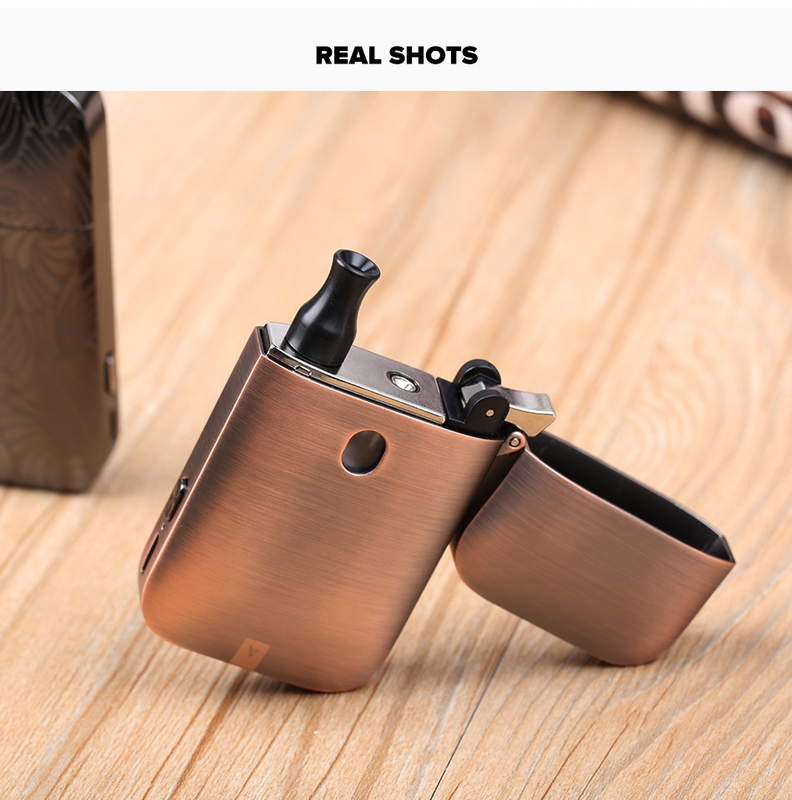 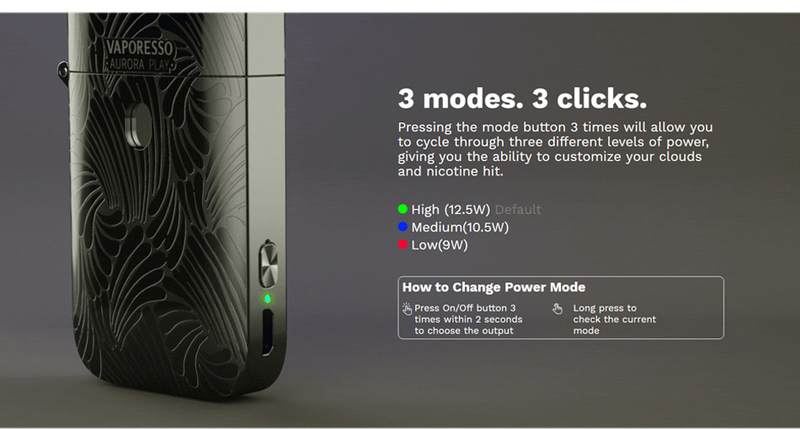 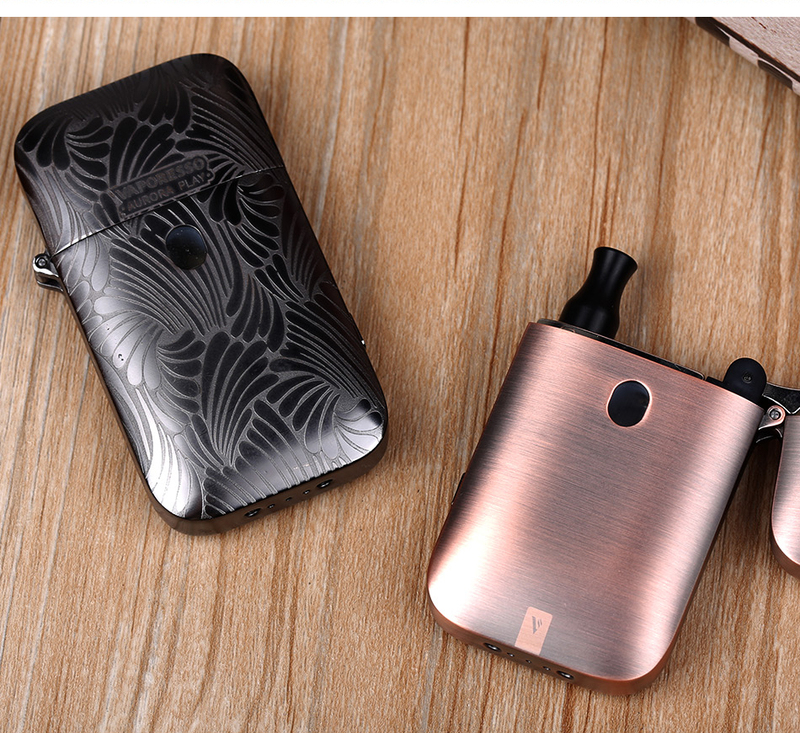 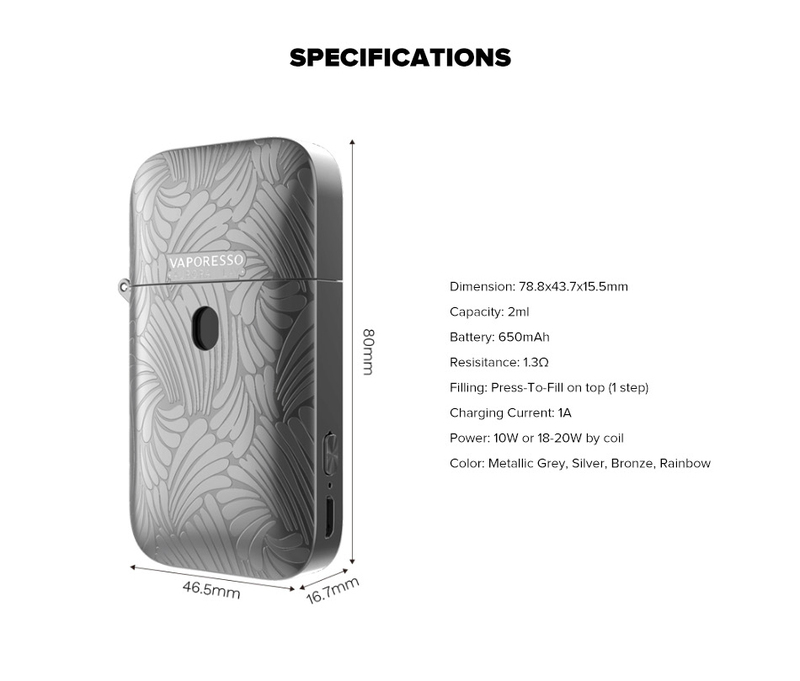 The Aurora Play skillfully integrates the lighter and e-cig in a portable unit. 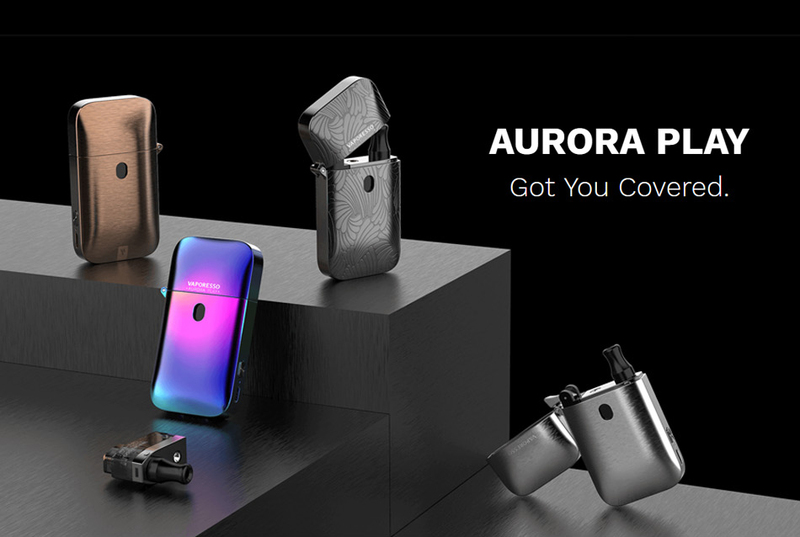 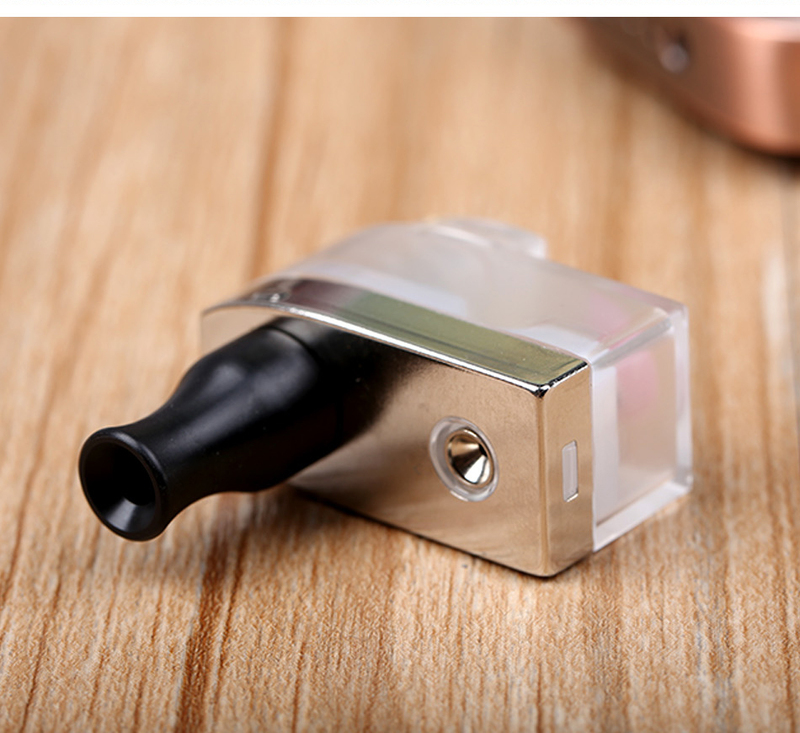 The Vaporesso Aurora Play adopts new PTF (Press To Fill) design, so you will refill the POD freely without taking it off. 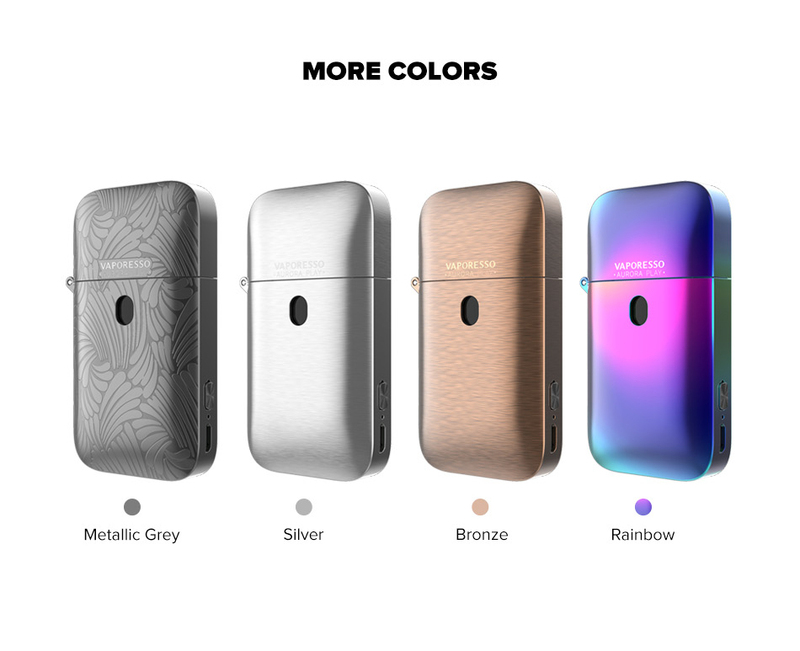 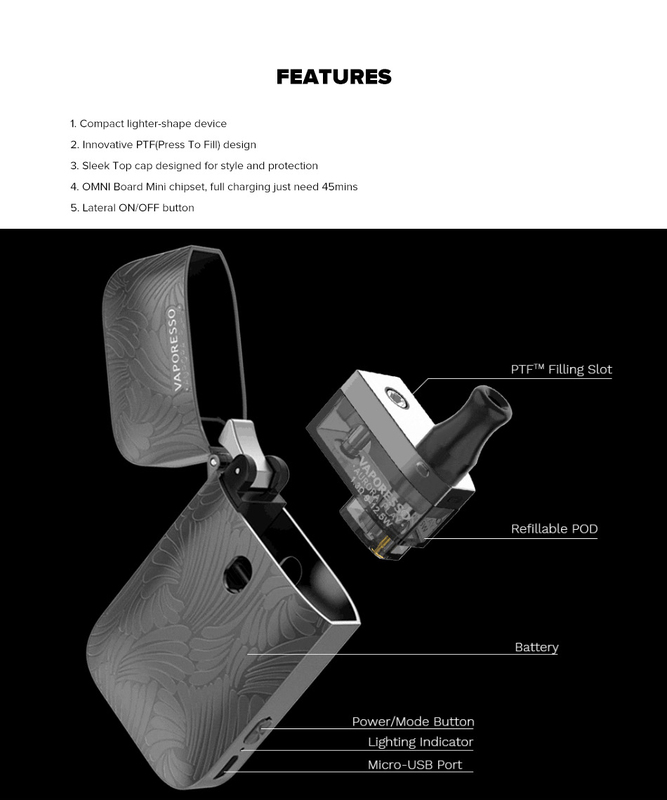 The Aurora Play comes with two pods, 1.3ohm and 0.65ohm, to meet your different vaping needs for regular juice and nic salts.